Under 6 training will go ahead at Oddball Lane between 10 and 12 on Sunday, so please do come along! As we approach the time when the clocks move forward an hour and Rugby weather is replaced by sunshine and Pimms in the Garden, we look ahead at what we have left for the remaining few weeks of the regular season. Sunday 28th April - All age Groups Home Training - LAST SESSION OF THE SEASON SO HAVE FUN!!! Details of our Rugby Force day, senior Presentation evening and AGM will be provided in due course. In addition we also have our Festoval and updates on this will be provided separately in the lead up to this great event! On behalf of the committee we would like to pass on our thanks to all the players, parents, volunteers, sponsors and spectators who have made this season such a success for all levels in the club. Lets see out the next few weeks in style, play good rugby, see old friends, make new friends and show why we are known a one of the best clubs in Hampshire! Overton Rugby Spring Cup is a Success!! On Sunday the 3rd of March, teams of all ages and from all areas in Hampshire came to Oddball Lane to take part in our annual Spring Cup. 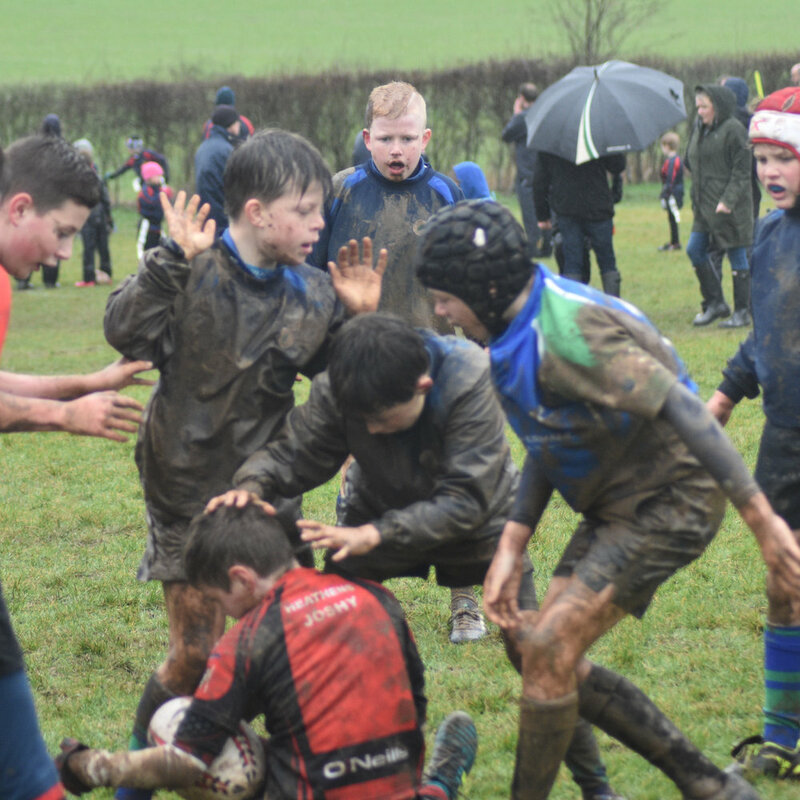 The weather on that Sunday was probably one of the wettest and windiest days in Overton’s history, however all teams turned up and gave 100% in what was a very entertaining Sunday! At the end of the afternoon the smiles on children and parents alike (when you could make them out through the mud!) made all the planning completed by the Junior and Mini’s management team worthwhile. Overton RFC would like to thank all players, parents, coaches and Volunteers who turned up for this annual event, we look forward to hosting these for years to come! Overton Rugby Football Club are looking for new Sponsors for the 2019/20 season. Please find below the games that will be shown at the Club for this Years 6 Nations. Games not being shown at the club is due to no team playing on the day. The bar will be open on these days so come along watch Overton play and enjoy the 6 nations with Friends and a Beverage! The clubs Mini section will be holding this years Spring Cup on Sunday 4th March. Please join us for an exciting morning of rugby action by the players of tomorrow! Overton Rugby Football club are proud to announce, in partnership with Masuri, the launch of our new online kit shop. This shop offers a range of ORFC branded training kit for players and spectators of all ages! Please follow us through Instagram and Facebook as we will be looking to add new items to the range over time and will ensure that these are advertised through these mediums.